You chose your BHAG (Big Hairy Audacious Goal) a while ago, made a plan and set about following it on your way to achieving said goal. Day after day, week after week you got out there and did the work; you trained your body physically and mentally, BUT there’s one last mental battle to stare down before you hit the start line of your next event – TAPER TIME! In the last few weeks before race day, your body starts to niggle and ache in places it never has before. You start to sniffle and sneeze like you’ve got snot on tap and every time you try to get to sleep at night, your mind runs through copious lists of things you have to do before the day and items you have to pack – it’s like self-inflicted torture! So what can you do in attempt to alleviate some of this Taper Time Tension? Make a list – This may seen obvious, but often we have the list in our head and not on paper which makes it difficult to stop thinking about. Have a notepad (or smart phone list app) handy at all times and whenever something pops into your head, write it down! Once it’s on the list it should no longer bother you at 3am each morning. Fingers crossed! Trust the process – You have worked hard in training, followed a plan, possibly employed (and trusted) a coach, maybe even dealt with an injury or 2 along the way, but know this – all of these things have led you towards your goal. Every step, every 5am wake up call, every gym session; they’ve all been part of the process to see you achieve this goal and now is the time to stop second guessing yourself and believe you have done the work – because you have. Trust yourself! Visualise the finish line – Before race day and even during the event, visualise yourself crossing the finish line; imagine how fantastic you will feel when you achieve what you set out to do. Think about the elation of finishing, the people cheering you over the line, the pride of your friends and family (and yourself) once you’ve done it and don’t forget that awesome medal that you will treasure forever. Think happy and positive thoughts to keep you going towards that visualisation of the perfect end to all your hard work. Yes you can! In your last few days before the event, make sure you eat well, rest well and relax when you can have a massage and drink plenty of water. Employ the above strategies to help settle your nerves and as Theodore Roosevelt said “Believe you can and you’re half way there”. If you need guidance and support with your next running goal, email info@rachelsrunners.com to find out about our group and individual online run coaching. 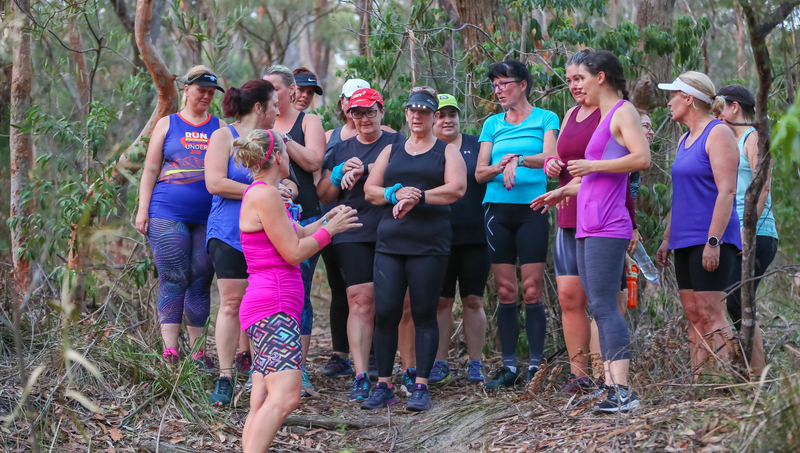 Especially designed for beginners to running, we have programs to suit everyone.